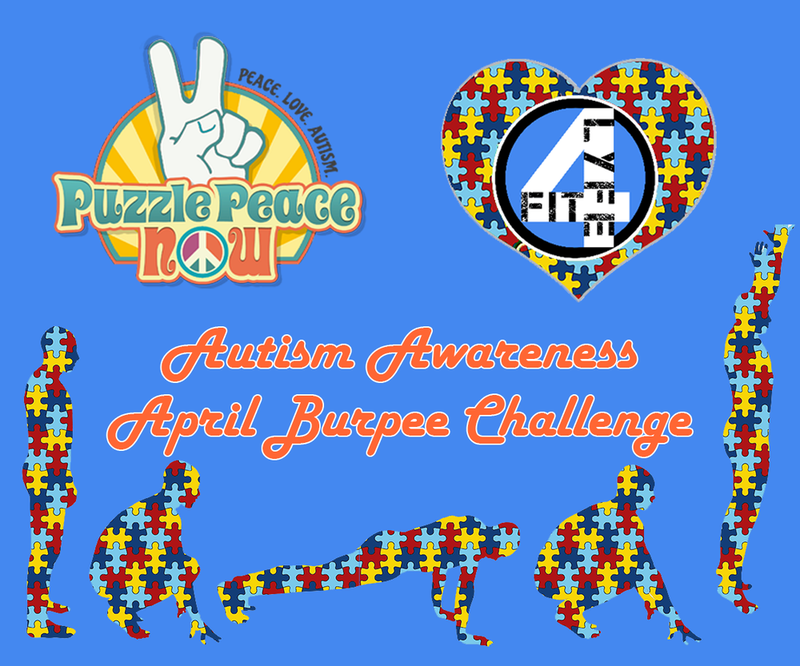 NEW WEEK and MONTH is here and TODAY we kick off our Autism Awareness APRIL BURPEE CHALLENGE! Whether you love burpees or not, this challenge is sure to get you moving and raising money for a GREAT cause!!! Beginning today, EVERY burpee you complete DURING a Fit4Lyfe class will count towards the April numbers! At the end of the month, Fit4Lyfe will donate 1-cent for EVERY burpee completed by our Lyfers. 1. Register and SHOW up for class! 2. List your name on the BURPEE BOARD! 3. Tally up EVERY burpee you do in class and adjust your number when you take classes. When can you do your burpees? 3. Right BEFORE cool down! When can you NOT do your burpees? 1. BEFORE class has started! 2. DURING the routine explanation! 3. While you are ON your actual station--- this is focus time and should be spent getting ready for your workout. 4. Once cool down has STARTED! Burpees that are part of the days warm-up and/or routine COUNT! RESPECT your Coach and their class rules! Looking forward to supporting a GREAT CAUSE!!!! Monies will go towards Puzzle Peace Now and we'll be sharing updates as the month goes along. LETS DO THIS FIT TEAM!!! !